Life Changing Bikes | Award winning family and cargo bikes retailer. Award winning family and cargo bikes retailer. Kids and Family Cycles spent a week during the hot Summer helping Telegraph journalist, Kate Weinberg, test out some cargo bikes in NW London. The article is out today, 16th August. Great Photos and comments for family cargo bikes and us. Take a look at our new website. Lots of new cargo bike offerings for all budgets to tempt you to join the cargo bike revolution. If you want any help in choosing which ones suits your family needs best, simply email us on info@kidsandfamilycycles.co.uk with age of children etc and I would be happy to suggest some solutions for you. Hope you all like the website. Many thanks to everyone that helped us put it together. Christiania Bikes – Why Do They Ride So Beautifully? Our customers have been getting their bikes ready for those busy Summer Holidays. This Christiania bike is looking great now it has been treated to a new rain hood. 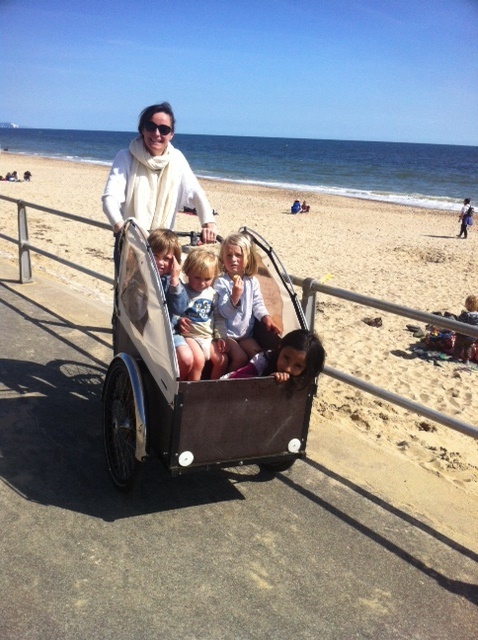 I’ve been meaning to send you a picture of my brood and me with our lovely revamped bike. I really love the new hood and am very pleased with the colour. Thanks so much , I really appreciate it. Hope the business is going well. Let me know when you have some business cards and I’ll pop over to pick some up, I’m always getting comments! We have many customers who come to our workshop not knowing which cargo trike will be the right one for them. Some have never ridden a trike and look at the steering of a cargo trike like the Christiania as something rather alien. So why does it feel so intuitively right……. Take a look at this link of when the Discovery Channel team visited the Christiania Bike factory to understand why it is so good too. www.vimeo.com/98528526 (starts at 09:28 in). Our workshop is open all week and at weekends by appointment if you want to try them out too and make your choice. Tonight in the UK on discovery channel at 8.30pm and 9.30pm (+1) there is a documentary on how Christiania make their great bikes to transport a family, including a visit to the factory. Looking forward to settling down with the family to enjoy it, after making a lovely Christiania trike delivery to a family today. 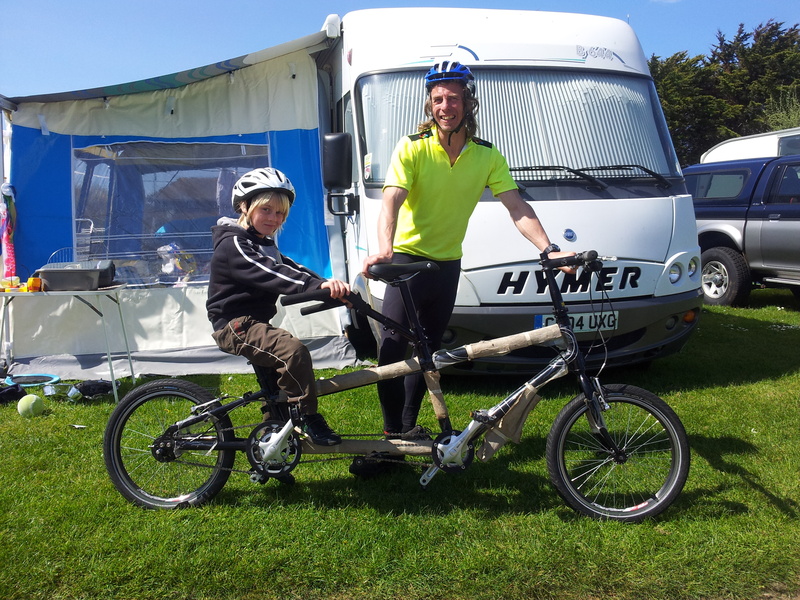 We have Christiania trikes in stock, so call on 01425 270774 to make sure you have one for the Summer. It really will change your Summer. So not quite the Bank Holiday Weekend we were all hoping for, but I did get a chance to test out the new Cassandra cycling raincoat. The coat arrived all crisp in tissue paper, the fabric felt practical but lush and it looked great too. On the Soggy school run, the first two mums I encountered, commented without prompting, about how nice it looked, so good start. 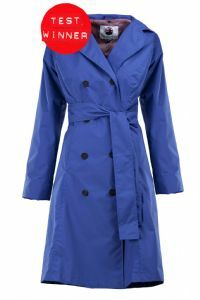 The weekend arrived, and we ventured to the Wheels festival at Bournemouth Pier, and I was oh so glad I had taken the plunge with this coat. Two hours + in the rain, and nothing came through. My son had my classic cycling Night vision altura, and I took the stylish option with my new coat. Basically, I love it, already accessorizing it….and thinking I may even be tempted to indulge in a red one too!! If I had any negative comments…..and we are talking minor here……I am a sucker for nice buttons, so these could have felt and looked a bit glossier. The photos are now circulating, and it looks like Martin had to find some real determination to complete the 111miles with a headwind of 26km/h and intermittent rain. 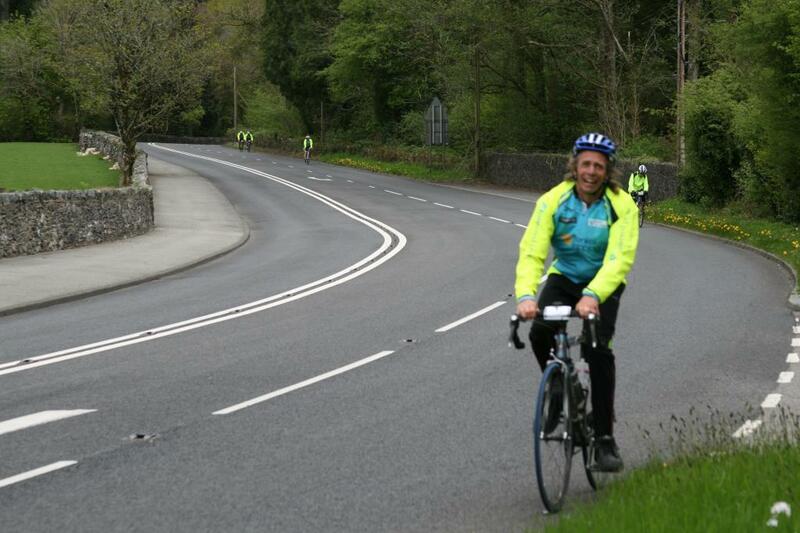 Way to Cycle Martin – Well Done! Just got an update that Martin, the Kids and Family Cycles mechanic, has completed the 111 mile ride from Crewe to Anglesey. Phew well done. The rain and westerly wind didn’t get him down. He now takes on a 2 day tour of Anglesey with other riders who are overcoming disabilities to continue enjoying or even beginining the great sport of cycling. Wish I could be there, but busy delivering bikes and open for test rides at the weekend, we still have a couple of slots on Sunday if anyone wants to try out our great range of life changing bikes. 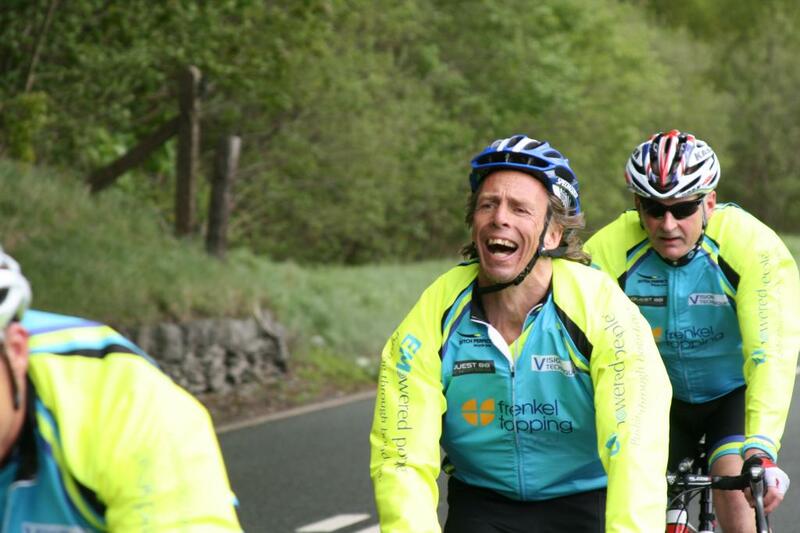 Tomorrow Martin, our mechanic is taking to the road on a charity ride for Empowered people. 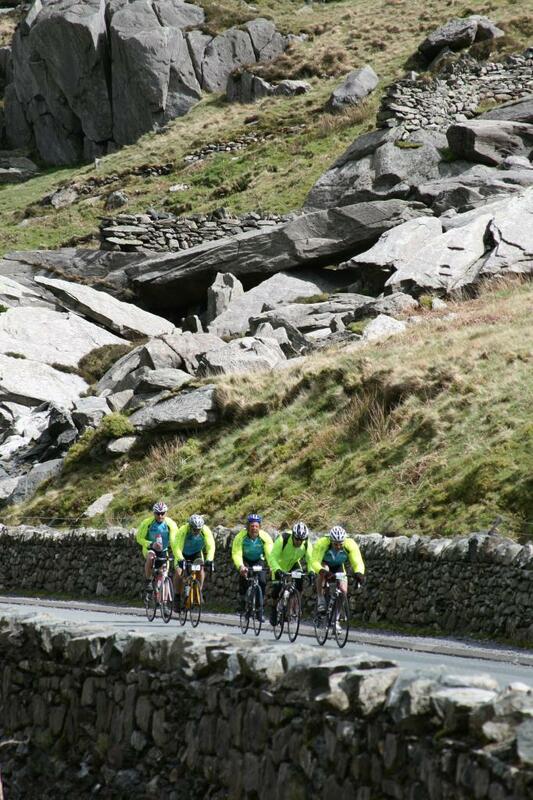 The support riders are heading to Angelsey from Crewe, through Snowdonia on an epic ride. The winds are blowing and rain is forecast, but despite the odds, I know he will give it his all. That’s just the way he is! For me, I get a rest from trying to feed a 65kg sportman consuming over 4,000 calories a day during the build up to the challenge, but I will be busy putting the final touches to our new website, due to launch next week. We have been scouring the world for new cycling solutions for families , many of which we have been testing for the last 6 months to assess them and make them perfect for our customers. Everyone loves it when someone says nice things about what you do, and we are no differenct here at Kids and Family Cycles. We do live and breath bikes, and yes, our hallway does resemble a bike shed, with all our boys bikes and my cargo bike, ready to go at the drop of a hat. Just the way we like it! We also hope we are spreading the love of cycling, so love this feedback we received last week from a new young enthusiast. So excited about the bike. Our daughter wanted to sleep in it. It was difficult to get her out because she loved it so much. She woke up this morning with first word, Bike. I might have a cyclist on my hands. We also received a bottle of lovely Australian red wine from a couple who felt we had given them beyond the call of duty after sales support with their cargo bike. It gave a great warm feeling….and we haven’t even consumed the wine yet! Create a free website or blog at WordPress.com. The Skeptical Theme.